Kevin Long is refusing to be sucked in to the emotion of Sunday’s game at the Emirates and the Clarets defender has vowed to gatecrash Arsene Wenger’s party. The Arsenal boss is set to stand down from his post after 22 years with the Gunners. And a big send off, in front of a sell out crowd, is expected for his final home game in charge. The Frenchman, a two-time LMA Manager of the Year, has won 17 pieces of silverware during his time at the club, claiming three Premier League titles, a record seven FA Cups and an equal amount of FA Community Shields. Long, who was six when Wenger succeeded Bruce Rioch, joining from Nagoya Grampus Eight in Japan on David Dein’s recommendation, admires everything that the 68-year-old has achieved in the game. But he’s determined to leave the capital with the points and spoil the celebrations. “It’s going to be good,” he said. “Arsene Wenger and Sir Alex Ferguson have both created legacies in English football and I don’t think their careers will ever be matched. “What they’ve done for both of their clubs in winning trophies and the longevity is fantastic. “But we’ve got two games to go and we want to go there, get three points and spoil the party for Arsene Wenger’s last home game. “It’s obviously his last home game and he’s been a terrific servant to the club. “He’s been one of the best managers in world football for a long time. “They’re obviously going to want to get a win for him. 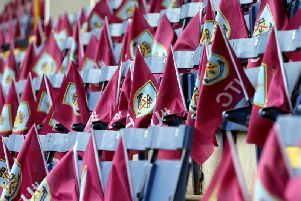 Should the Clarets avoid defeat, or should Southampton get anything against Everton at Goodison Park, then Sean Dyche’s side would be guaranteed European football next season. That would cap a monumental campaign for the Republic of Ireland international, who has represented his nation on two more occasions having collected his first cap last summer. The 27-year-old, who featured against Austria and Wales in World Cup qualifiers, said: “It’s massive, we’re on the verge of getting in to Europe. “For a club like this it’s a huge achievement and we’ll keep giving everything for the club. “To play for your country is a massive achievement and if I’m playing European football alongside that then it’s what every lad dreams of.